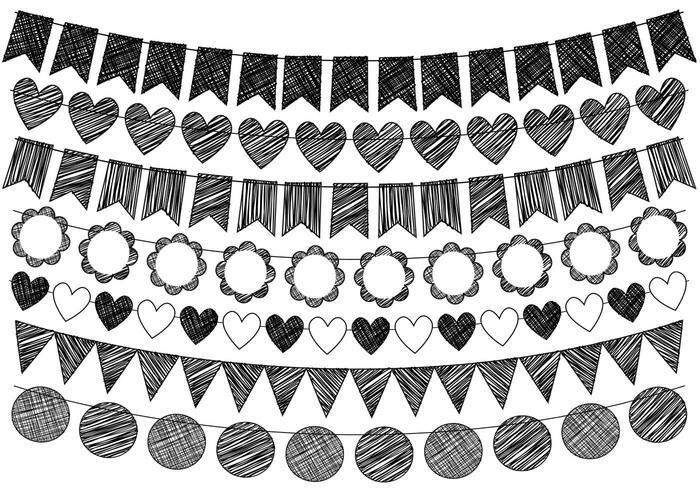 Hand Drawn Doodle Bunting Brushes - Free Photoshop Brushes at Brusheezy! Want to get your hands on the vectors? Then check out the <a href="http://www.vecteezy.com/doodles/80192-hand-drawn-doodle-bunting-vectors/premium">Hand Drawn Doodle Bunting Vectors</a> over on Vecteezy!